INDIA: Suzlon's Kirti Vagadia has stepped down from the role of chief financial officer. Vagadia will be replaced by Amit Agarwal a former CFO of steel manufactrer Essar Steel, who will report to chairman Tulsi Tanti. 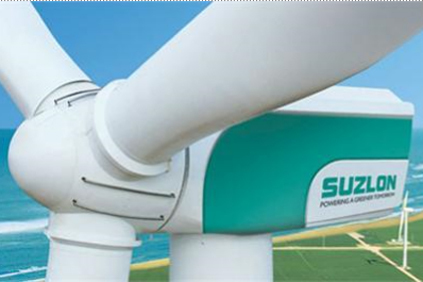 Suzlon said Vagadia would focus on his existing role as Suzlon Group head of finance, which includes overseeing German subsidiary Repower. In April last year, Vagadia stepped into the CFO role following the departure of Robin Banerjee, who left to join a pharmaceutical company. Vagadia took over the position during a difficult time for the turbine manufacturer, which has been unable to repay $220 million owed to bondholders, which Suzlon was supposed to repay in October. It was also forced to apply for corporate debt restructuring on $1.8 billion of corporate debts. Speaking about Agarwal's appointment, Tanti said: ""We are delighted to be bringing someone with Amit’s credentials and experience in a highly competitive market segment as the CFO of Suzlon Energy. Amit’s previous role, as CFO of Essar Steel, has given him rich and extremely relevant experience that I know we will now benefit from."